Favourite Sports Memory: Qualifying in my first top 10 at the World Cup in Switzerland in the 2012/2013 season. How you got involved in your sport: I started ski racing at a young age with the rest of my siblings. At the age of 12 I started snowboarding and never picked up my skiis again. 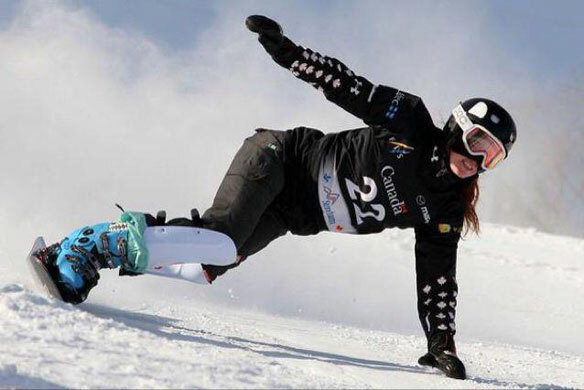 The natural transition was to go into racing as a snowboarder. The moment you knew you wanted to represent Canada: As soon as I got into ski racing at the age of 7 I knew I wanted to be in the Olympics. I just didn’t realize at the time it would be in a different sport. CAN Fund Testimonial: CAN Fund is an amazing organization and athletes wouldn’t be where we are today and do as much as we do without the help of organizations like CAN Fund. Best Result: Finished 9th at the World Cup in Arosa Switzerland in the 2012/2013 season. Share one valuable tool that you use on a daily basis that helps you to be the best athlete you can be: My mouth. Eating lots of food to become a stronger athlete. Who is one person in your life that has impacted your career and what was it that they taught you: My parents have impacted my career. They taught me nothing comes for free and you need to work for everything to be the best person/athlete you can be. Have you read any articles or books or watched any videos or movies recently that really inspired you: I recently read the Andre Agassi book which inspired me to keep working hard and to never give up. 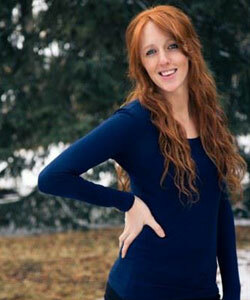 Fun Facts: I like to bond with fellow gingers, I can also do a loon call. One day I’m hoping a loon will come to my call. No luck so far.